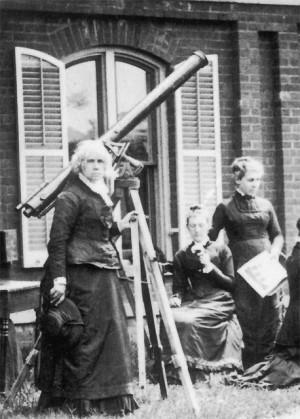 The first building to be completed at Vassar was the Maria Mitchell Observatory, where she used a 12-inch telescope, the third largest in the United States at the time. There, she held classes and worked with her students and conducted research by studying the surfaces of Jupiter and Saturn, and photographing stars, making her the first American woman to work as a professional astronomer. By definition, a profession is a paid occupation, especially one that requires education and training. Female business owners probably have the longest histories as professional women. Colonial women entrepreneurs owned inns, taverns, and stores. The lively fancy of the youthful fair, would quickly catch a fondness for a science of such infinite variety – what a charming topic for conversation would this [scientific knowledge] afford in their social parties! And if we reflect how the various parts of natural science branch out into all the household and economical concerns, can we find any part of female education of greater import. The early education of children must generally fall on the mother, how important then, that she should be well informed in the history of Nature. However, women were excluded from education in the sciences; therefore, their contributions were limited. As late as the 1870s, the only profession open to women was as school teachers, which was perceived by society as an extension of traditional domestic roles. Martha Daniell Logan was an early American botanist who exchanged seeds between the North American colonies and Britain. 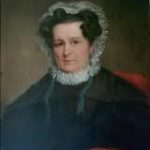 Born in St. Thomas Parish to a wealthy family, Martha Daniell’s father was a prominent merchant and governor of South Carolina. 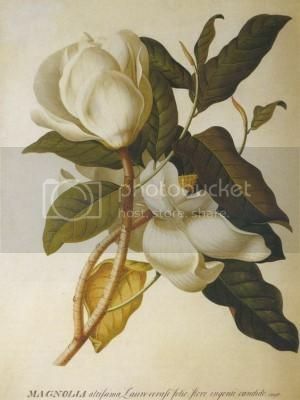 At age fourteen (1718) Martha married George Logan Jr. and moved to a plantation near Charleston, South Carolina, where she cared for her family of six children and began her botanical collections in the nearby woods. 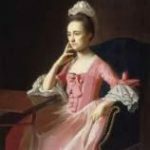 George Logan died in 1742 and the financial difficulties that followed spurred Martha Logan to begin writing a column called ‘Gardener’s Calendar’ for the South Carolina Gazette in 1751. Further money troubles caused her to sell her plantation in 1753. Logan then moved to Charleston, where she owned a nursery and sold rare seeds, roots, and plants for customers in the colonies and Britain. She was a major collector of plants endemic to the Carolinas. As time permitted, she delved more seriously into her studies of botany. 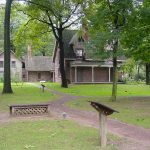 Eighteenth-century Philadelphia botanist John Bartram met Logan during his southern tour in the 1760s, in a letter he paid her the compliment that she knew her horticulture well. Logan began to correspond with John Bartram; they exchanged samples and communicated regularly. Logan is best known for her interest in horticulture. Her letters demonstrate how knowledgeable she was and that she was part of a local network of fellow horticulturists, some of whom were women. Martha Daniell Logan died June 28, 1779 in Charleston at the age of 75. Eliza Lucas Pinkney was born in Antigua in the West Indies. Her father, British military officer George Lucas, moved the family to the British colony of South Carolina in 1738, hoping the climate would improve the health of Elizabeth’s mother, but she died soon after they arrived in America. George Lucas bought several plantations near Charleston, one with 600 acres of land and another with 1,500 acres. In 1739, George Lucas had to return to his military post in Antigua to deal with the political conflict between England and Spain. At age sixteen, Eliza was left to care for her siblings and run three plantations. Eliza’s letters to her father demonstrated that she was acting as head of the family and managing the plantations. In his letters, George encouraged his daughter to look into different types of crops which might be exported outside of the state. Eliza considered the indigo plant, which produced a natural blue dye, one of these crops; it was highly prized in the developing textile industry in England because of the difficulty in growing it. George sent seeds of the plant to his daughter and Eliza looked for ways to make it grow in the climate and soil of South Carolina. Before the year was out, she was cultivating improved strains of the indigo plant. Eliza Lucas Pinckney changed agriculture in colonial South Carolina and developed indigo as one of its most important cash crops. I thought that Botany is an Amusement which may be made agreeable for the Ladies who are often at a loss to fill up their time, if it could be made agreeable to them. Their natural curiosity and the pleasure they take in the beauty and variety of dress seems to fit them for it. His daughter, Jane Colden, became America’s first female botanist. Jane mastered the complex Latin plant classification system developed by Carl Linnaeus, and by 1757, she had compiled a catalog of more than 300 local plants. Jane both sketched living plants and created ink transfers from dried plants, and noted medicinal uses of plants. Jane Colden exchanged seeds with leading American botanists such as Alexander Garden of South Carolina. When she discovered a new plant, she named it the gardenia in his honor. Records also indicated that European botanists including Carl Linnaeus himself were aware of her work, but the contributions of female scientists were often overlooked. Jane married a local physician in her late 30s and died during childbirth at the age of 41. Margaretta Hare Morris was a pioneer in the field of entomology, the study of insects, and the first practicing woman entomologist in the United States. She gained great respect in her field and wrote numerous papers that were delivered by male colleagues at conferences and scientific societies, which women were not allowed to attend. 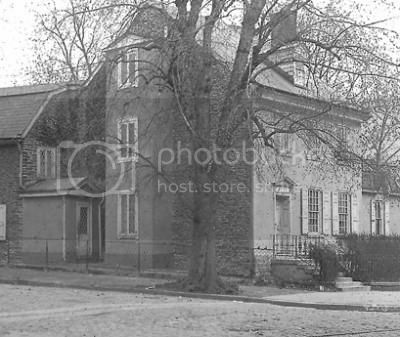 Morris had no formal education and lived in the same house in the Germantown neighborhood of Philadelphia most of her life and attended scientific lectures with her mother. Using bell jars for raising insects and her backyard as a laboratory, Morris made significant contributions to fundamental problems in entomology. She studied the life cycles of insects that threatened crops, and therefore, the economy of the young country. Morris studied the habits of the Hessian fly, Mayetiola destructor, which was a significant pest of cereal crops including wheat, barley and rye. Though a native of Asia it was transported into Europe and later into North America, supposedly in the straw bedding of Hessian troops during the American Revolution. Margaretta Morris also studied the periodical cicadas and fungi as botanical pests. Magicicada is the genus of the seventeen-year periodical cicadas of eastern North America. They are sometimes called locusts, which is a misnomer. Magicicada spend most of their seventeen years underground feeding on fluids from the roots of deciduous trees, after which mature cicada nymphs emerge in great numbers. Adults are active for four to six weeks. Within two months, the life cycle is complete, the eggs have been laid and the adult cicadas are gone for another seventeen years. Morris concluded that these flies laid their eggs in the grain rather than the stalk as had been previously thought. Her findings were important to agriculture. An interesting note about Margaretta Morris: Charles Darwin corresponded with a broad network of naturalists and relied heavily on their expertise. This circle of scientific colleagues were not only men but quite a few women, including Mary Treat, Lydia Becker, Carolina Dodel Port, Mary Barber and Margaretta Morris. I do not want to leave Philadelphia without having made the acquaintance of a distinguished entomologist, Miss Morris known [for her] observations on the Cicada septendecim [Pharoah Cicada] the Baridius tripunctatus [Tobacco and Solanum Weevil], etc. It was Mr. Dr. Elwyn, who was kind enough to introduce me to this lady, where I spent a very interesting morning. Motschulsky was well known and well traveled, and he often sought out other entomologists during his travels. His visit with Margaretta Morris indicates that she was well known in entomological circles. Well-known journals published Morris’ research, and her correspondence indicates that she kept in contact with other workers in the field, including collectors. These first women scientists performed the most difficult tasks. There were no paths to follow; they created them as they worked and learned. They shaped the future and left a legacy of excellence in the sciences for future generations. Look for more American Women in Science in future posts.